2013 was another big year for us here at The American Classic. We celebrated yet another birthday and couldn’t be happier to be around to see another New Year as well. We like to do a little number crunching annually to gauge how we did and where we’d like to go in the upcoming year. This helps us stay on top of what we’re doing by reminding ourselves of what kinds of articles do the best here. In 2013 we visited 12 shops, shot 10 separate brands, released several new creative writing series, released a new video promoting upcoming works, released two seasonal playlists, and traveled to 5 different cities for coverage. Our viewership is up 150% from 2012 which was up an enormous 536% from 2011. Our Instagram account alone increased it’s following by a solid 500% this year which really makes us proud given that our account was created by accident after Rogue Territory errantly tagged us. We added Leslie Zacharkow to the team, a talented developer and designer working with us on a few different projects. All of this means progress for us and we’re really happy to be here doing it. As we said this time last year, there will be plenty of new programming this year and lots of features that will take us more in-depth with brands. Be looking for updates to how the site looks and feels and don’t hesitate to reach out if you have any questions or just want to say hello. Here’s to another year! Over the past month I’ve been shooting our Summer 2013 preview to relay some of the awesome stuff we’re releasing coming up later this season. As the weather’s gotten warmer we’ve steadily moved into full summer mode, frequently serving watermelon, drinking hoppy IPAs, and spending plenty of quality time outdoors. We’ll be traveling a bit of the Californian coastline and heading back east for a few visits and are excited to share those trips with you. This summer will see our first review of products made for the home. Meriwether Field Gear is an amazing shop in Montana that makes some really great wooden home goods that we’re excited to showcase as well as the continuation of our usual Weekend Adventures posts, a few shop visits, and the release of our second playlist (here’s the first in case you missed it). Stay tuned. I was hanging out with our pal Karl Thoennessen from Rogue Territory last night and he mentioned that NorthenGRADE, the menswear-centric pop-up shop located frequently between Chicago and Minneapolis (though recently moving around a bit), was coming to our fair city. Wouldn’t you know it? He was right. The show carries on here in sunny Los Angeles, CA. and oh-so soon. 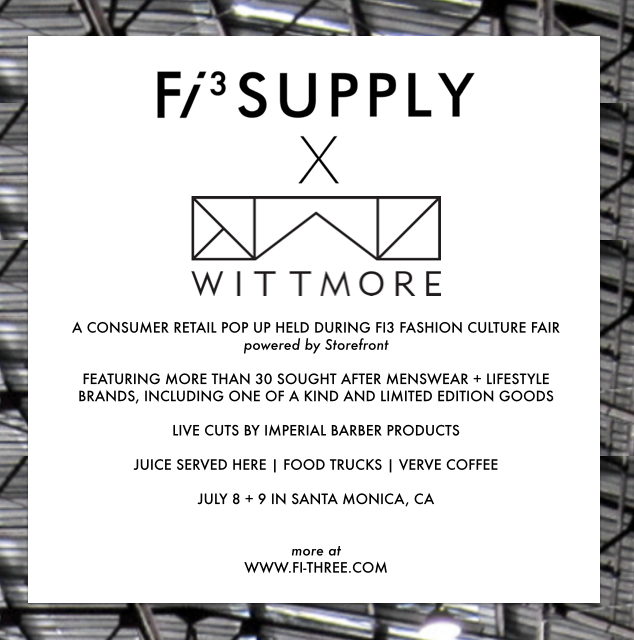 If you’re in the area, this is probably your best bet in the next year (at least) to see anything like this happening in LA so I highly recommend going out. Brand list and info posted in the image above, abridged version below. Real deal details here. 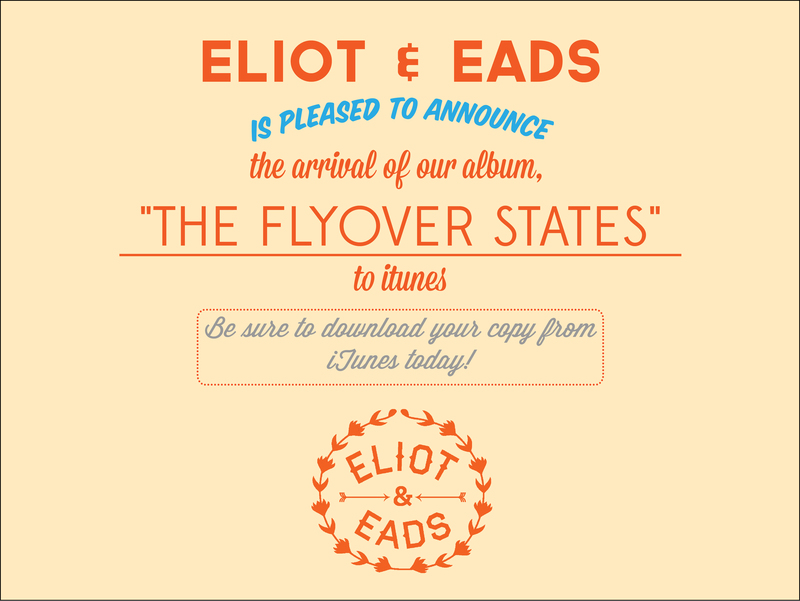 After many, many months of work, Eliot & Eads’ record “The Flyover States” has been released on iTunes. We’ve talked about it plenty of times and shot several videos for the group and now the album is yours to purchase. You can read more about the band here.